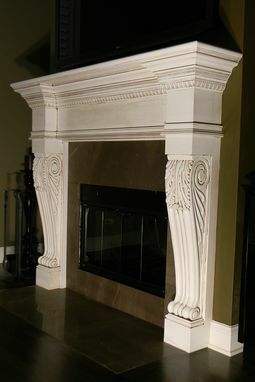 The San Diego Fireplace Mantel is a display of exquisite focus on leveraging the intricacies found in both plaster and wood mouldings. Beginning at the feet of the San Diego Mantel we find two large plaster forms with gorgeous leafing patterns and fascinating scrollwork seen from each side. 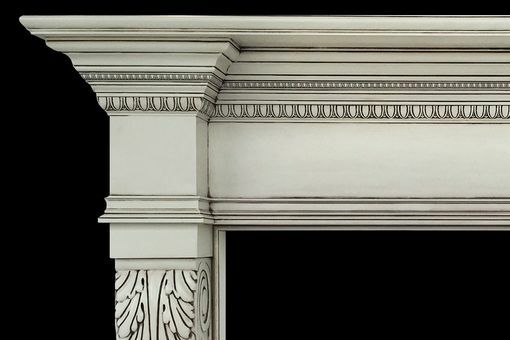 At the top we find a large 4 piece crown moulding created by the layering of various wood mouldings, including two sizes of the distinct egg-and-dart pattern. 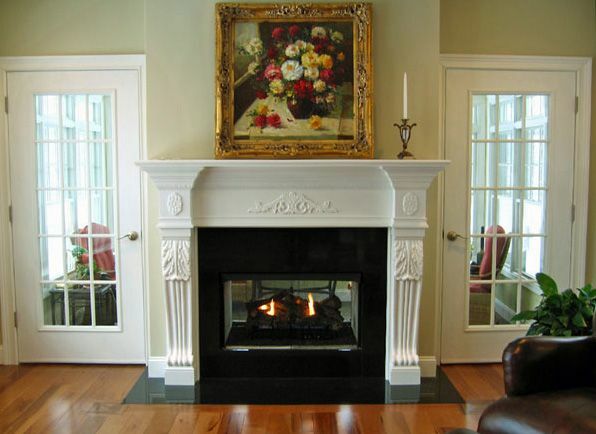 The theme of the San Diego Mantel is one of carefree decorative flourishes; a life full of lushness & growth rooted in a spirit of appreciation.